This 18 year old boasts a multitude of fruity, floral, spicy and herbaceous notes that are inherent to the finest single malts of this region. This whisky really is delightfully fresh and the flavours are very tightly bound. Worth a side note on the texture here, which is remarkable. It’s voluptuous, for an Aultmore. 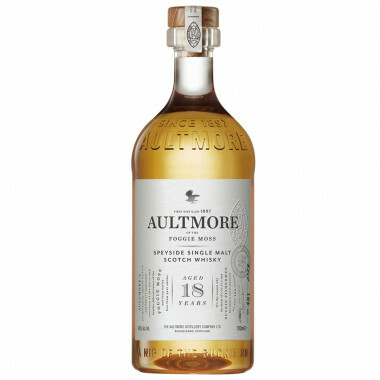 Aultmore has been producing malt whisky since 1897, yet little is known about this obscure distillery. Often cloaked in thick fog and exuding an air of mystery, the sparsely populated land surrounding its site has always felt somewhat isolated. The distillery sits in the sweeping hills of Moray, just north of the town of Keith on the rolling road to Buckie. It was built by Alexander Edward, close to curious terrain called the Foggie Moss. This enigmatic area, well known for illicit distillation in days gone by, is home to Aultmore’s water source. Damp, atmospheric conditions prevail here and the water, filtered through the gorse and heather that abounds, is crucial to the whisky’s light, clear character. The entire distillery was rebuilt and expanded in 1972. The distillery makes a Single Malt which is matured in bourbon hogshead refill, using unpeated barley. All the whiskies in the new Aultmore whisky range are presented in their natural unadulterated form, non-chill filtered and no added caramel colouring. 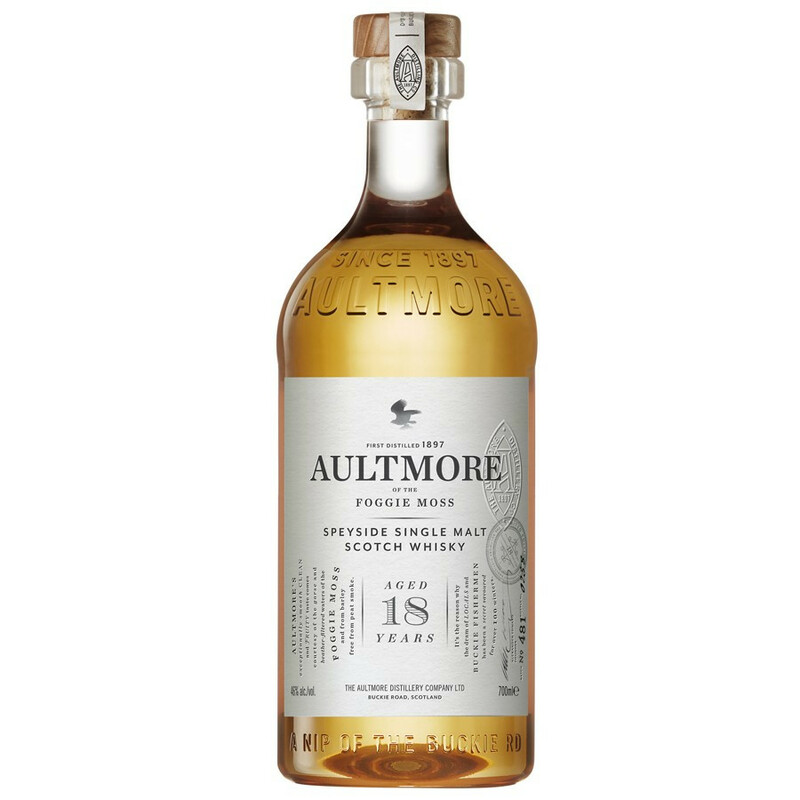 Aultmore has been given “Top Class” status as one of 12 single malt whiskies selected by a group of master distillers, which include Aultmore, Benrinnes, Cragganmore, Glen Elgin, Glen Grant, Glenlivet, Glenlossie, The Glenrothes, Linkwood, Longmorn, Macallan and Mortlach. Nose: blue cheese, very fruity – particularly sweet lemon, seems quite effervescent. Some jasmine flowers, a little licorice, herbs, mellows into a clean, light, crisp note. Finish: a little turmeric, more of the faint leather… the finish is light but stays, understated and impressive.